前ここで紹介したSFのCLUB SOMがいよいよ今週末 pre openning party! 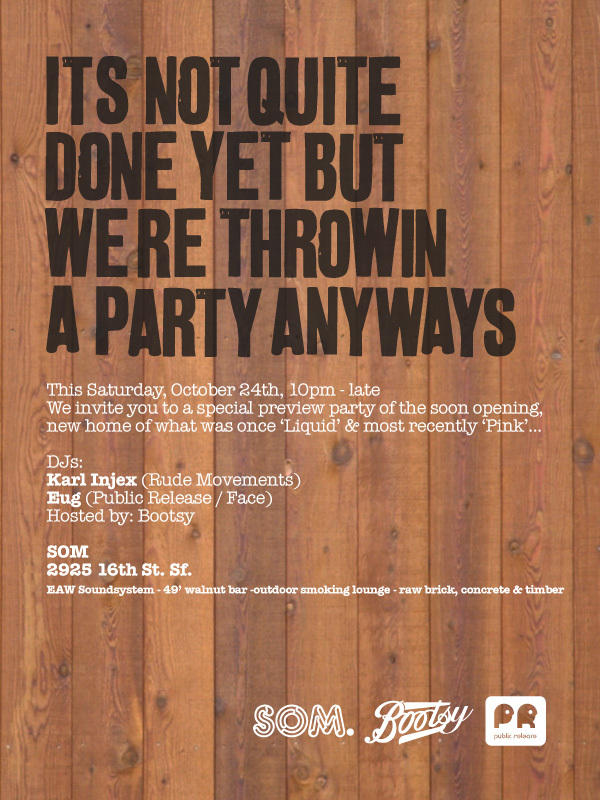 They are doing a special preview party this Saturday. Go through if you are around!